Have you always wanted to meditate but found yourself unable to quiet your mind? Maybe you have already started your meditation practice, but wish to bring it to the next level. Have you wanted to meet your lead Spirit Guide? Your Guardian Angel or other Spiritual entity? Then this is a wonderful offering for you! I am offering both private and group sessions for those who wish to experience a lovely meditation session in my Clifton Studio! We will discuss your goals...if you'd like to meditate for a particular outcome, to improve your connection to your higher self, or to open your chakras, or connect with your Guides. You'll be given the option of sitting on a pillow or chair and while incense burns, music plays and candles warm the room, we will open our chakras together, I will say prayers of protection as you listen to a crystal bowl being played. A Guided Meditation (this is a meditation spoken by me, but assisted by your own Spirit Guides!) 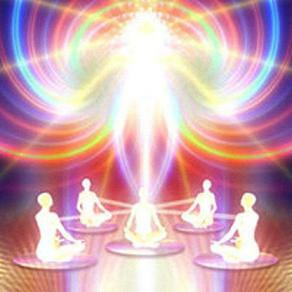 will deliver a relaxing, centering Spiritual experience that will enable a close relationship with your Guide(s). as well as groups as small as 2 people or as large as 10! or to make your appointment today!